BINANGONAN, Rizal – The Sto. 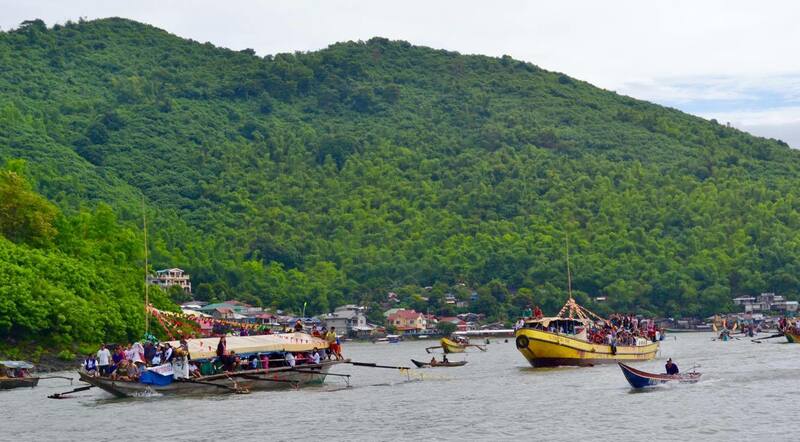 Domingo parish community in Janosa, Talim Island in this town held on Aug. 3 its annual fluvial procession or pagoda, with fifteen boats joining. The procession started from the parish church in Janosa, the central barrio and proceeded to two neighboring areas before being carried to the main boat (pituya), which visited 17 barangays of the Binangonan side from north to south. 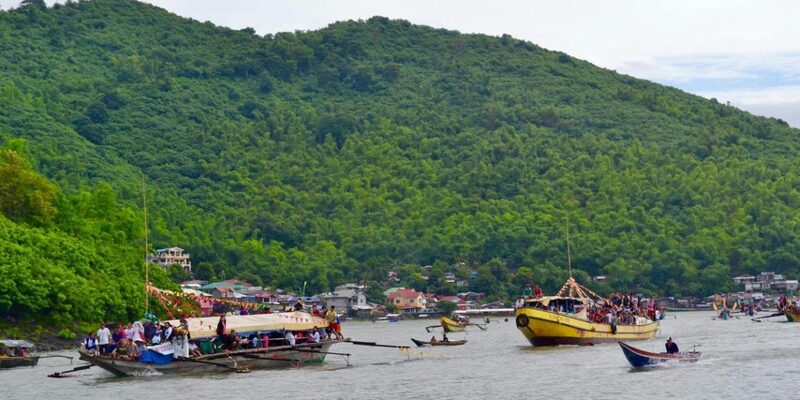 Talim Island, the largest in-lake island in the country is located in the country’s largest lake Laguna de Bay, divided by the towns of Binangonan and Cardona, Rizal. The celebration began with the last novena Mass, held by Fr. Harold Chicote Camonias, a native of the island now assigned in the Diocese of Port Pirie in Australia. 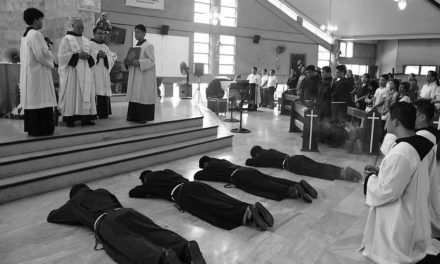 In his homily, he noted the importance of the devotion to St. Dominic, whose roots date to the alleged discovery of the old image known as “Amba Ingo” in one of the island’s coastal areas. Ever since, this event is commemorated with a fluvial procession on Aug. 3, and the anniversary of the image’s discovery on Aug. 4 before the liturgical celebration of St. Dominic’s feast on Aug. 8. 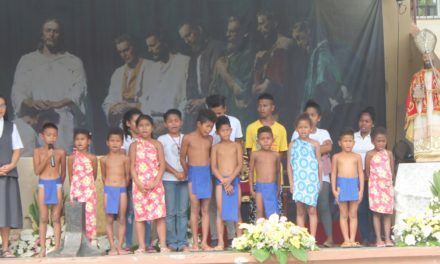 The priest also noted how important it is for people to thank God for the blessings bestowed on the community. Fishing and bamboo craft are Talim islanders’ main sources of income and trade. 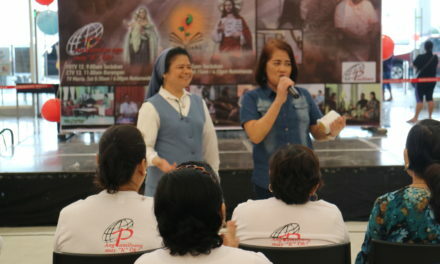 Hence, he reminded the people to always think of PAGODA – Panalangin at Gawain, Oras-Oras, Dapat Atupagin (Prayer and work should be done all the time), which signifies one’s giving of self to God and the people. Fifteen boats joined the procession, representing the chapel patrons under the parish. Upon landing in Barangay Buhangin, devotees joined street dances and headed towards the parish church where they were splashed with water (basaan). The event ended with a street dance competition and awarding for Best Boat Design, Best Street Design, among others.